Small and Medium enterprises are finding it difficult to procure high-end ERPs due to costs and also inability to use all the rich features of high-end ERPs. Over the last 10 years, Daemon has had a solid experience in deploying custom solutions for small and medium enterprises. Looking at the challenges of costs, time to roll out and easy operating process, we have now launched Daemon ERP as a solution to small and medium companies. Instant and round the clock access to common information saves time spent on compilation of reports, internal communication and reconciliation. It also eliminates waiting time and facilitates quick and proactive decision making. Ready data analysis helps in taking actions to improve business performance. 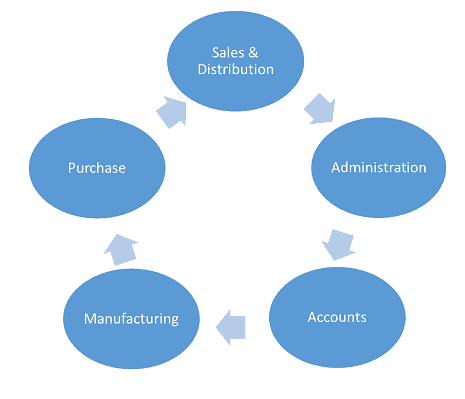 Integrated work flow and system based follow up reduces time of business cycles.